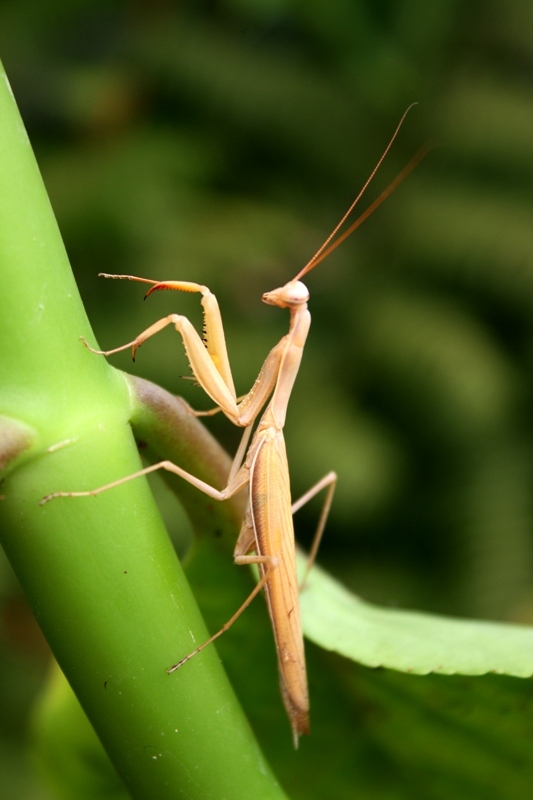 I discovered this praying mantis in my garden as I was poking around in the yard. When I first saw it he was empty clawed, perched and waiting for prey, but when I went back some minutes later to take a look he had managed to snag a small butterfly. This is only the second one I recall ever seeing around these parts. The other one I found on top of a tent of a classmate way back in sixth grade when we were camping up at Sage Hill during a class outing. Aside from a tarantula it was the prize find, as we were up there specifically for an insect gathering experience. 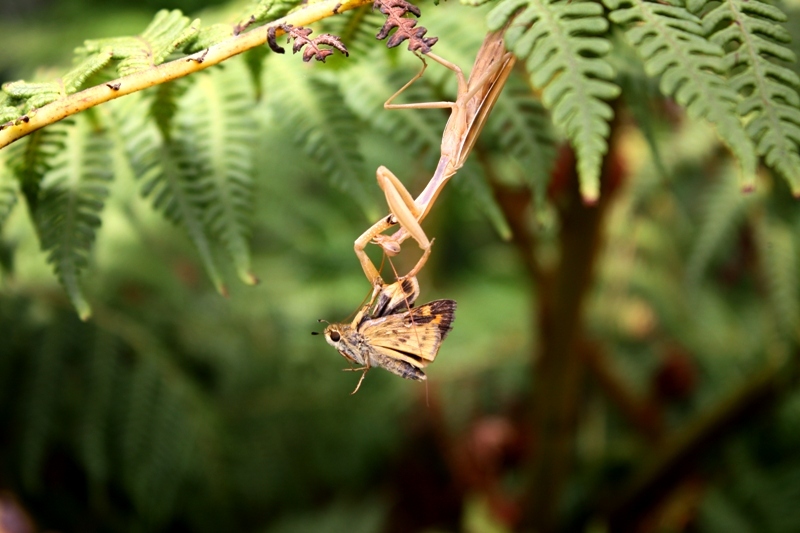 This entry was posted in Santa Barbara and tagged Mantid, Praying mantises. Bookmark the permalink.